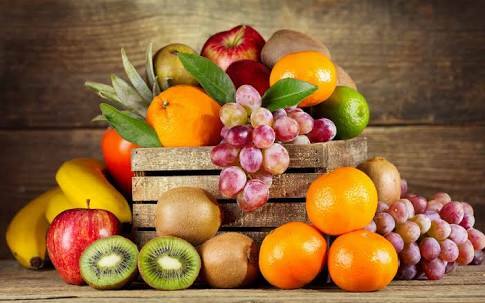 Fruits are basically classified into two, acidic and alkaline fruits. We usually consume fruits in different ways. Mostly along with food, along with milk and as juices. There are also few rules in consuming fruits and also there are few combinations too. Acidic fruits shouldn’t be added with milk whereas alkalaine fruits goes well with milk. Drinking fresh juices without sugar will helps in gaining whole fruit benefits ,if it is added with sugar that results in gaining weight so this is not recommended as a healthy habit. Fruits should never be consumed before food. Particularly acidic fruits like pomegranate, kiwi and sweet lime. This will be reacted with the acid formed in stomach which results in heavy increasing acid level that also leads to ulcer. Fruits like papaya,pineapple has heavy enzymes .This heavy enzyme fruits should be avoided before meal. Our Indian food culture is filled with heavy starch(rice) and fibred food (roti) which takes more time to digest. Whereas fruits takes less time to digest. If we consume fruits after food which will decay before it get to the intestines. So strictly fruits shouldn’t be consumed after food. So fruits should be always consumed as a separate meal. It’s good to start the day with alkaline fruit like banana,Apple,chikoo and guava which will sooth the stomach and keeps it calm the whole day and controls acid levels. Low calorie fruits like guava,kiwi,blueberry,pineapple can be consumed in normal levels by the diabetics people. Whereas high calorie fruits like mango,jackfruits can be consumed in very low amount. Fruits which has high potassium content and low sodium content will be used in reducing blood pressure. Fruits like grapes,lemon and kiwi will be consumed in normal level to stabilize the blood pressure.Banana can also be consumed for maintaining blood pressure.